We’ve already seen several products at CES that support Amazon’s virtual assistant, Alexa. DVRs, washing machines, and even echo clones that use the retail giant’s AI have all been at the show. Next up will be Alexa-powered 4K televisions: the Amazon Fire TV Edition. Amazon won’t be building the televisions itself. The company has signed a deal with Seiki, Westinghouse, and Element Electronics – who are all owned by Chinese firm Tongfang Global – to launch the UHD displays. In addition to that 4K resolution, the TVs feature 3GB of RAM, 16GB of internal memory, Bluetooth/Wi-Fi/Ethernet connectivity, and will be available in sizes ranging from 43 inches to 65 inches. Each one will come with the latest Fire TV interface, which means easy access to OTA programming, simple TV input setup, and component switching. 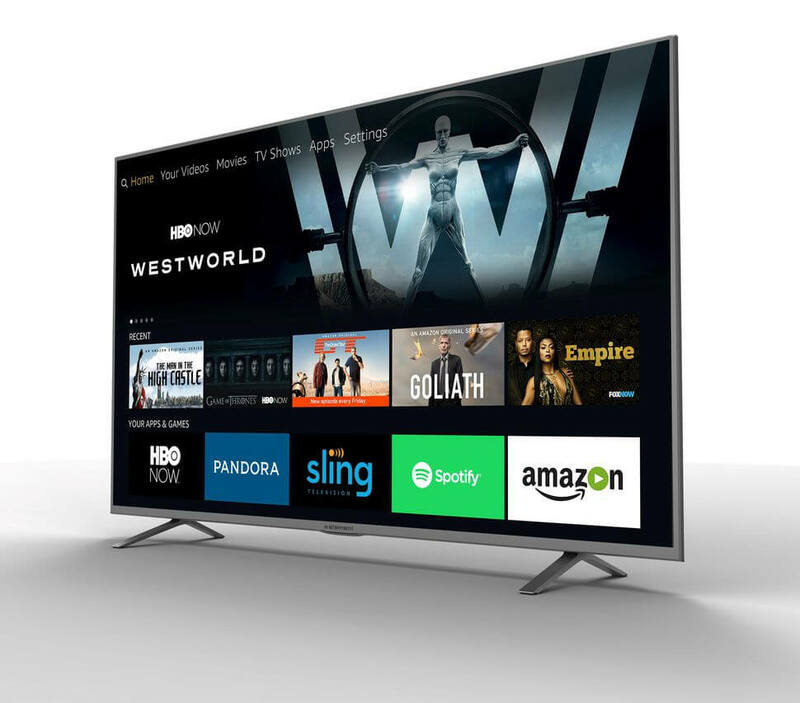 The televisions will also have access to the thousands of apps and games found on other Fire TV devices, along with a remote control that features an embedded microphone so users can speak instructions to Alexa. The voice assistant can launch apps, search content, play music, control smart home devices and more. The Fire TV Edition Smart sets will be available later this year on Amazon.com and from authorized retailers nationwide. Pricing will be announced closer to the launch date.